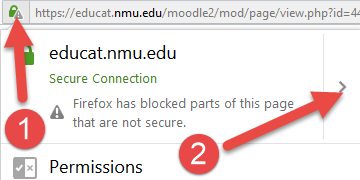 Depending on which browser is being used, additional clicks may be required to play audio or video in EduCat. 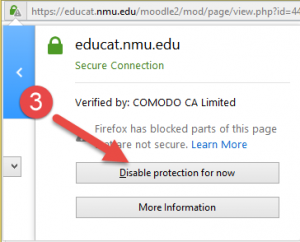 Some browsers temporarily block audio or video to let you know that it may contain insecure content. This may include embedded video from YouTube, Google Videos, Ted Talks, and our own WildCast server. 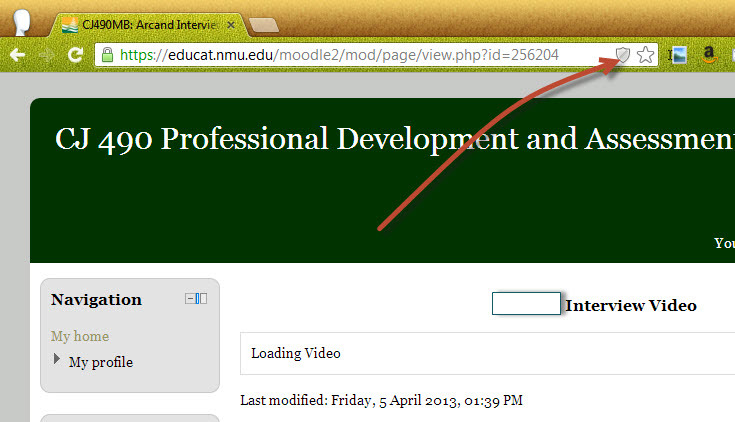 After clicking on the video link, a shield icon will appear in the address bar of the browser (see image below). It is necessary to click on the shield icon, then click “Load unsafe script”, and the video playback window will appear. After clicking on an audio or video link, a message window will pop up (see images below). It is necessary to click “No” if you get the first security warning, or “Show all Content” if you get the second warning, and the video playback window will appear.